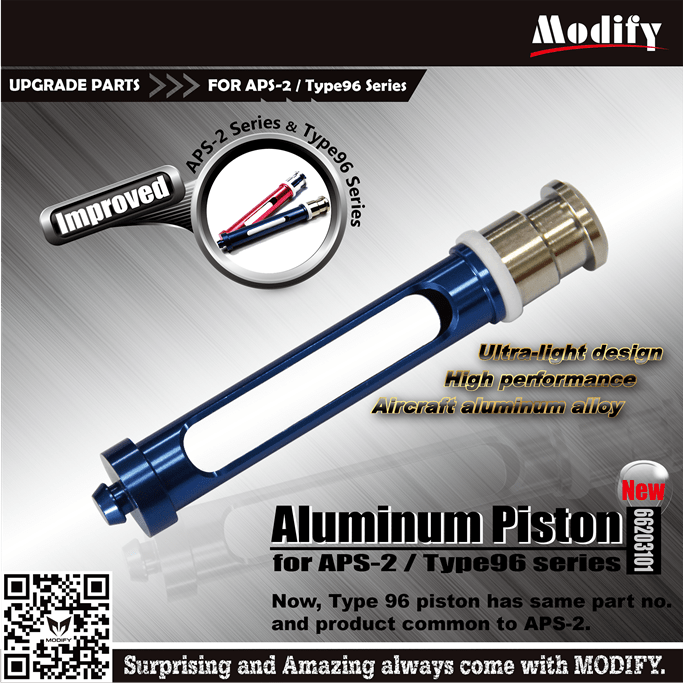 We improved APS-2 piston series and Type 96 piston Series. We make it much lighter and much more compatible. Now you can upgrade both APS-2 and Type 96 with it. 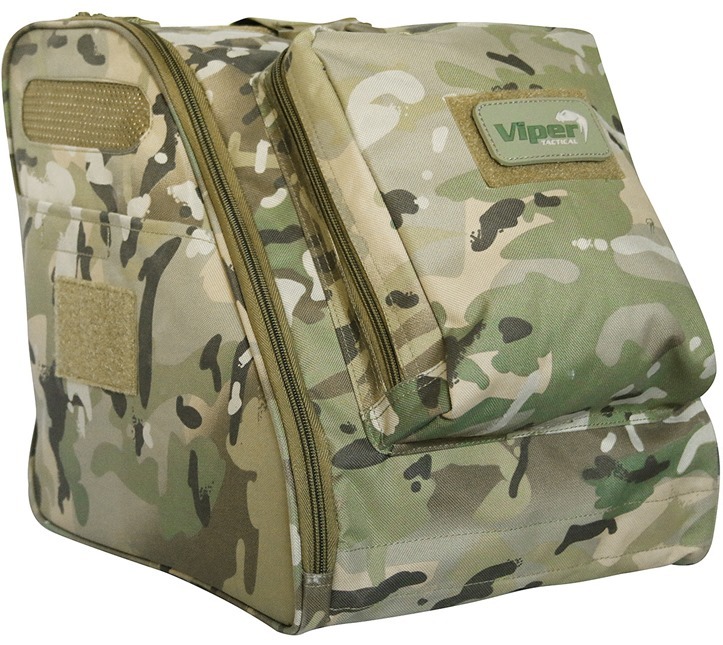 Available now at Military 1st is Viper Tactical Boot Bag. Made of durable and water resistant 600D Cordura, Viper Tactical Boot Bag isolates boots from packed clothing and is suitable for most boots. Its collapsible flat design makes it easy for transport and storage, while removable mesh floor allows easy cleaning and faster drying. 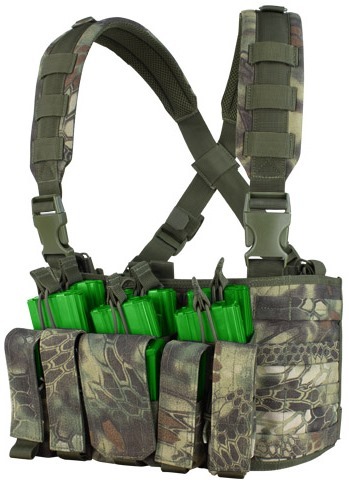 The bag features top and side mesh-vents, side MOLLE panel and sleeve pocket with Velcro, Velcro ID panels, and a large front zipped external pocket for goggles or gloves. Adjustable and removable wide shoulder strap with carabiners, and strong grab handle at the top offer a secure and convenient way to carry. The BCMGunfighter QD Keymod Vertical Grip requires 3 KeyMod attachment points and secures via a patent pending spring-loaded clamp system, allowing for tool free installation and removal. 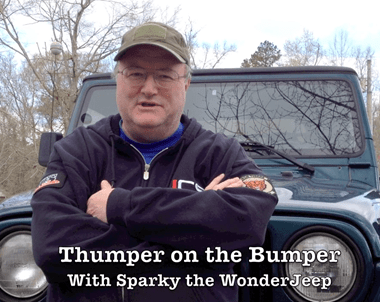 And we are now going to be doing a video vlog quick-hit news capsule video series called "Thumper on the Bumper…" where we’ll review and preview upcoming news and issues from safety and "Air Stupid/Air Smart" articles to legislation and business stories. http://www.FusionKnots.com The Fractal Sinnet is the fusion of the Zipper Sinnet and an "Elbowing" technique. Combined, these two knot components merge to create an innovative tie that is stylistically greater in appeal than the sum of its parts. In this, the two color version of the tie, I show you how to make a slick, cord efficient, bracelet. This is a very simple and affordable style of camo for your gun. This is my second video covering this technique, I will be doing a lot of painting this summer. So stay tuned for that.. Here is a link to my original Sponging Video.. Gun was built less than 6 hours before video.. I have no rounds through the gun. That shall change soon. The First THUMPER ON THE BUMPER, a news and comments vlog to get you up-to-date on Airsoft and MilSim in the USA and around the world. I tried hosting a Google Hangout this morning. It didnt go well. 2 viewers… That was my fault, I launched the show via Google not realizing I was using the wrong account.. The latest, reasonably priced, gas blow back pistol RWA are releasing is their Nighthawk Custom Covert Ops. 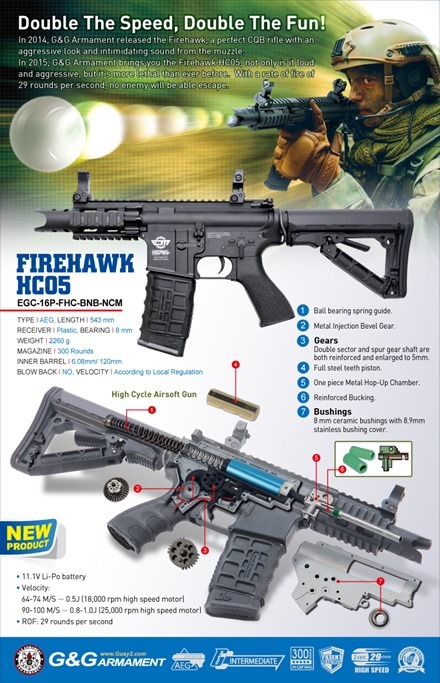 It is based on their previous RWL Nighthawk Custom Recon and have been through a few changes. 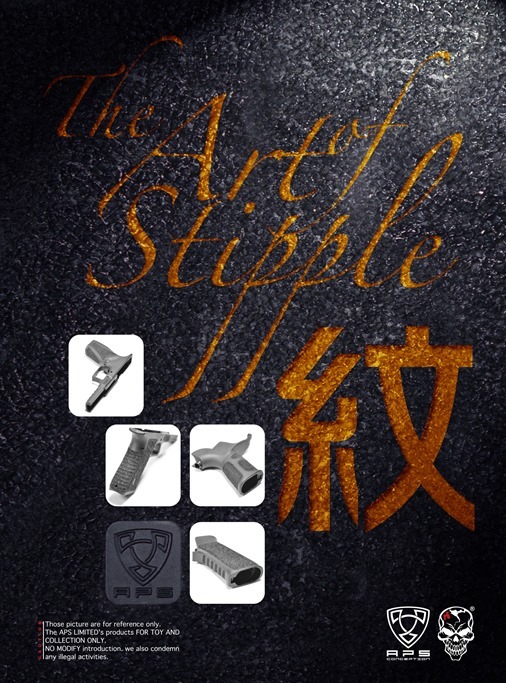 Such as, the grips and the fact that it now comes with a thread for a suppressor. Tim is very excited to tell you all about it! Join Bob for an in-depth look at his guns and gear for the upcoming BB Wars games! Bob will be leading the rebel alliance for the battle in Plano, TX on March 29th! Fight Oppression! Join the rebellion! The popular MK17 platform by VFC is now available in the standard length barrel on airsoftgi.com. 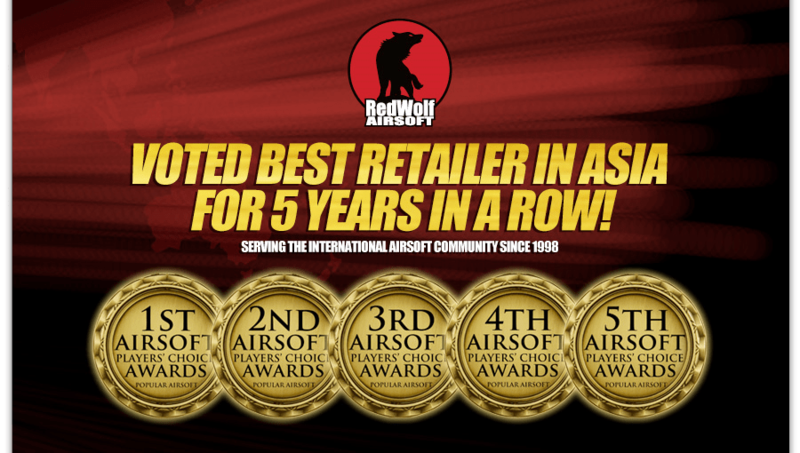 Like many airsoft guns by VFC, internally tuned from the factory for performance and reliability. With a lightweight and very strong external build quality. 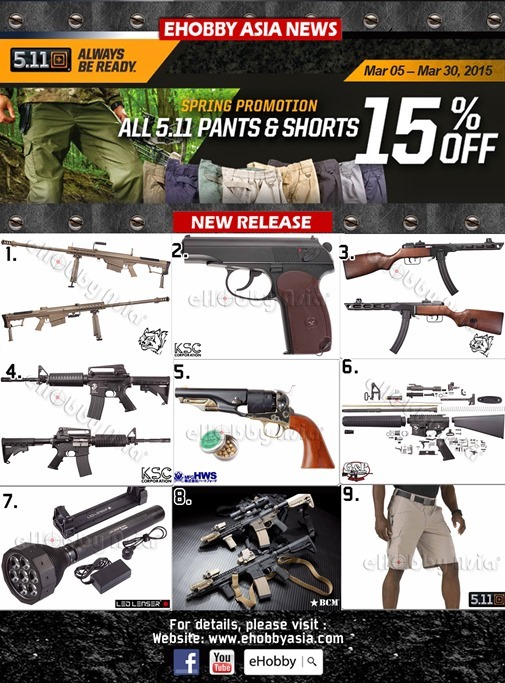 Additionally, more tactical gear and accessories have arrived from Tru-Spec, Lancer Tactical, VSIM, Redline Pro Gear, and more! International customers, simply add the item to your cart and click the blue global checkout button to calculate shipping and complete your order. Madbull’s service to our customers is our top priority, we proudly announce our barrel nuts for replacement service. We offer these parts for Noveske NSR, Daniel Defense MFR and Daniel Defense RIS II (M4A1/MK18). Now available on our Madbull website and distributors’ channel. 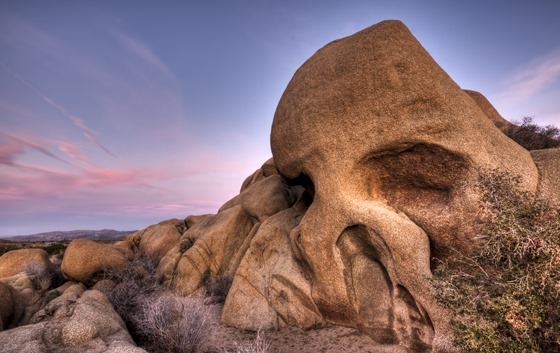 The season for adventure is here and the Triple7Gear team will be in Joshua Tree this weekend for a long awaited and much needed trip to relax, explore and shoot some footage for the Core Nano wallet release. Over the next few weeks there will be a huge RESTOCK of all Micro Kits, MK-7 pouches and some brand new product releases. To clear the deck and get you all geared up for adventure we are offering 25% off everything that is left in stock. Just enter the CODE "ADVENTURE AWAITS" and stand by for killer gear to arrive in your mail box. Plus ARES VZ58 Rifle that looks like an AK but is not an AK. 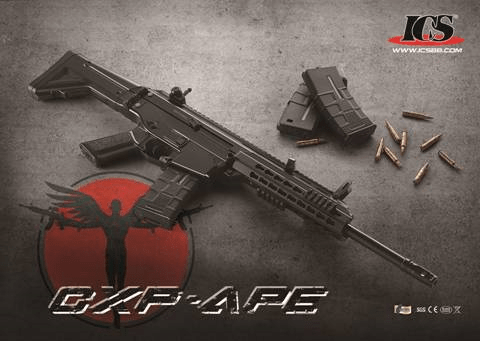 We are proud to present ICS new product in 2015, CXP-APE. This CXP-APE is our latest design which jumps out the boundary of M4 series. We adapt many unique features on this model to distinguish with the others. Please clink to download the brochures and product photos. Here is ICS CXP-APE product videos. Welcome to watch it and share it. 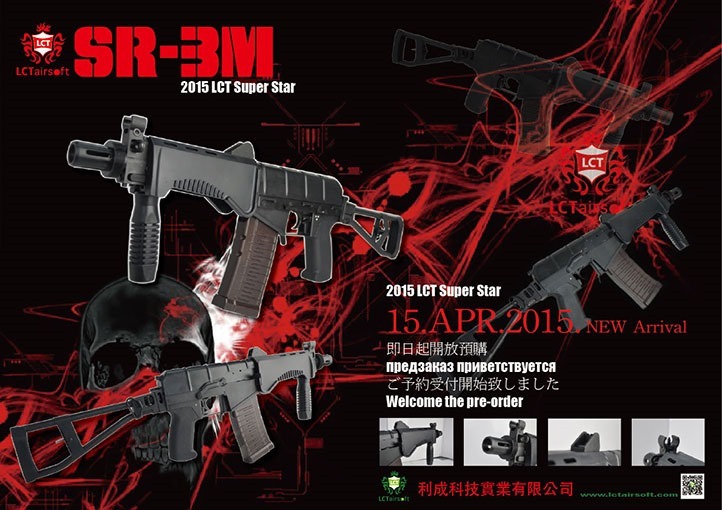 LCT SR-3M AEG now taking the pre-order, and will be released on April 15, 2015.